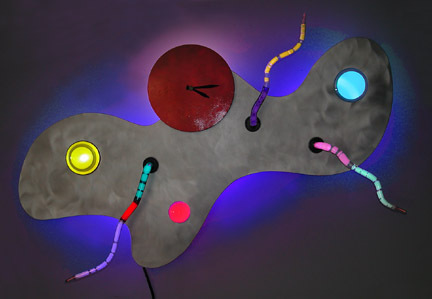 26" x 9" x 4"
36" x 24" x 7"
Each whimsyClock in the series is unique with the multi-colored neon tube blown in spirals, bubbles, twist and turns with some adorned with other materials as well. The background comes in clear-coated silver aluminum or in a variety of colors of translucent-painted aluminum. 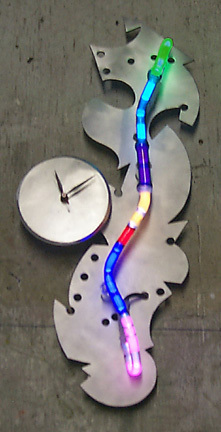 The clock runs on a single AA battery.